Attack 1 : Save the Ramen!! Inuyasha protects the ramen more than himself. QUICK, ATTACK! P.S. This attack does nothing. 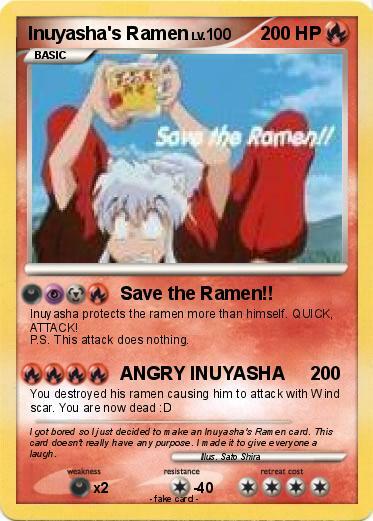 Comments : I got bored so I just decided to make an Inuyasha's Ramen card. This card doesn't really have any purpose. I made it to give everyone a laugh.